Ruckus bartender Karin McDaniels prepares a drink with apricot-infused vodka. 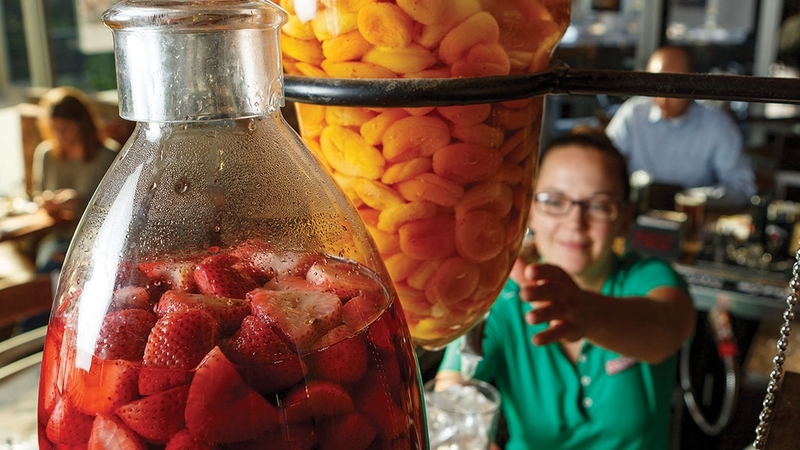 The strawberry-infused vodka, left, goes into the popular strawberry lemonade. 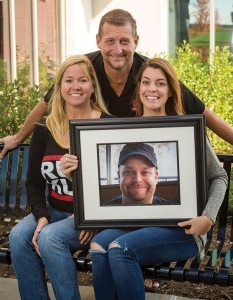 Robert Royster, standing, Ashley Royster, left, and Amy Pilz, holding a photo of the late Ryan Pilz, have grown Ruckus Pizza, Pasta & Spirits from a bar 18 years ago into a family-friendly restaurant with four locations. 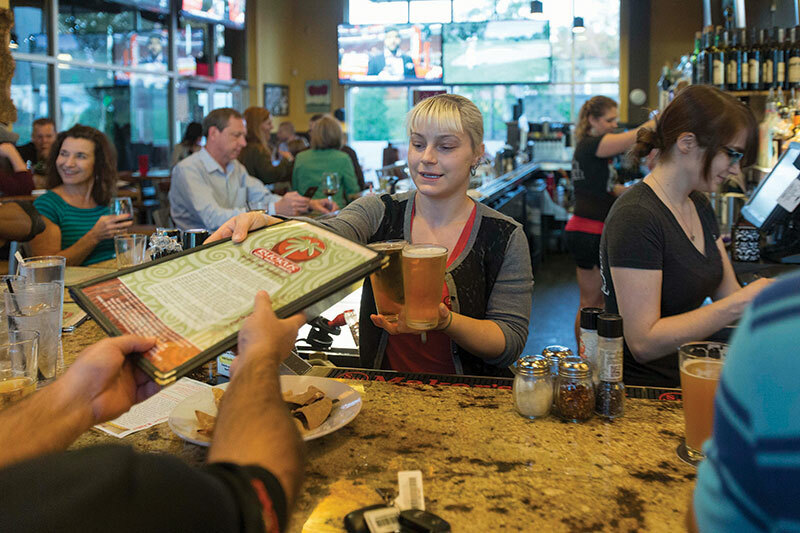 What began as a lone hole-in-the-wall college bar churning out hot pizza and cold beer has evolved into a multi-unit, family-friendly dining destination. 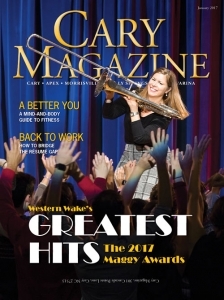 Ruckus Pizza, Pasta & Spirits ranks among the area’s most well-regarded restaurants, as the readers of Cary Magazine attested in the recent Maggy Awards poll. Ruckus scored the top honor in the Most Kid-Friendly, Best Outdoor Dining and Best Neighborhood Bar categories and tied for first place in Best Appetizers. The eatery received honorable mention for Best Cocktails and Best Pizza. Back in 2014, it nabbed the Best New Restaurant Maggy for the Morrisville location. All these accolades didn’t come easy. Over the past 18 years, owner Robert Royster and his wife, Ashley Royster, have worked hard to mold Ruckus’ four locations into comfortable and reliably consistent gathering spots. Look for even more outposts in Apex in early 2017 and Holly Springs in 2018. Ruckus provides a high-energy, casual dining experience with a subtly Caribbean vibe, but the restaurant’s purpose extends beyond food and drink. “We strive to make a connection with every person who comes through our doors,” said Ashley. 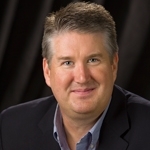 A central and beloved figure instrumental in making such connections was the late Ryan Pilz, Ruckus’ managing partner and one of Robert’s best friends from college. Pilz, a gregarious, free-spirited maverick, battled cancer throughout much of 2016 and passed away in November. 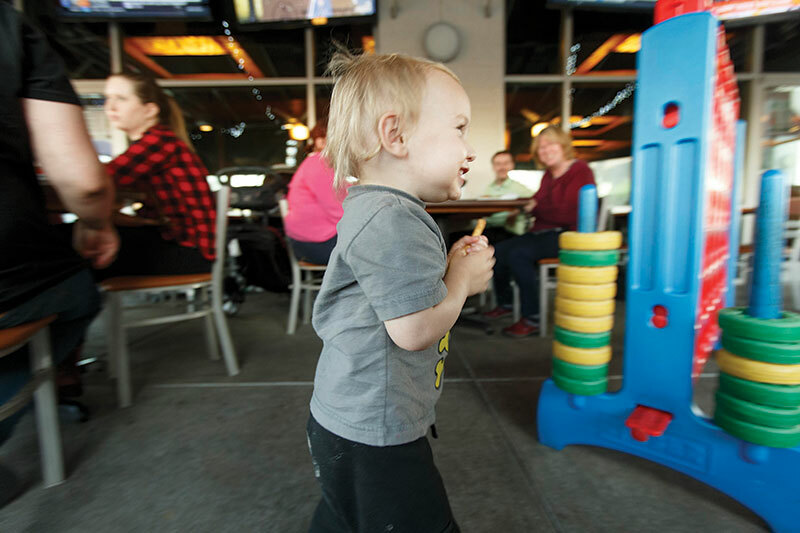 Trevor Skelton, 18 months, races around with french fry in hand on the patio at Ruckus Pizza, Pasta & Spirits in Morrisville, at Park West Village. Despite the void that remains in the hearts of Ruckus team members, the Roysters are committed to honoring Pilz’s legacy by continuing to serve their local communities. “So many restaurants are only about the bottom line, but we’re about being involved and giving back to the community,” Robert said. Whether it’s through the popular “Raising a Ruckus” campaign to benefit needy families during the Christmas season, fundraisers for local schools or food discounts for fire and rescue personnel, altruism abounds. Thoughtful owner involvement is perhaps the biggest factor in the ongoing success of the Ruckus brand. “We have low staff turnover because we treat each team member like they are one of our own children,” said Ashley. Robert also believes the work environment at Ruckus is uniquely special. “The culture we have created is seen in the way we treat our staff and the staff in turn treats our guests,” he said. When it comes to the importance of delivering good customer service, Robert doesn’t mince words. That humble approach has yielded tremendous loyalty from clientele for years. “We see some guests three to five times a week, and we know them by name,” he said. Donna Lucksavage juggles a menu and a couple of beers behind the bar at Ruckus as Joanie Koontz, right, works the register. No doubt those customers and others appreciate the extensive menu that runs the gamut from specialty pizzas and pastas to salads and burgers. It’s not everywhere you can find an Ahi tuna salad, spicy chicken Alfredo, and brisket tacos with blue cheese slaw on the same bill of fare. Bestselling appetizers like hand-rolled garlic knots and fried mozzarella sticks are crowd pleasers, but imaginative selections such as buffalo chicken rangoon with Thai chili glaze and blackened mahi shark bites stand apart. Even more ambitious fare is found in Morrisville’s Park West Village and Cary’s Arboretum locations: made-to-order sushi rolls. 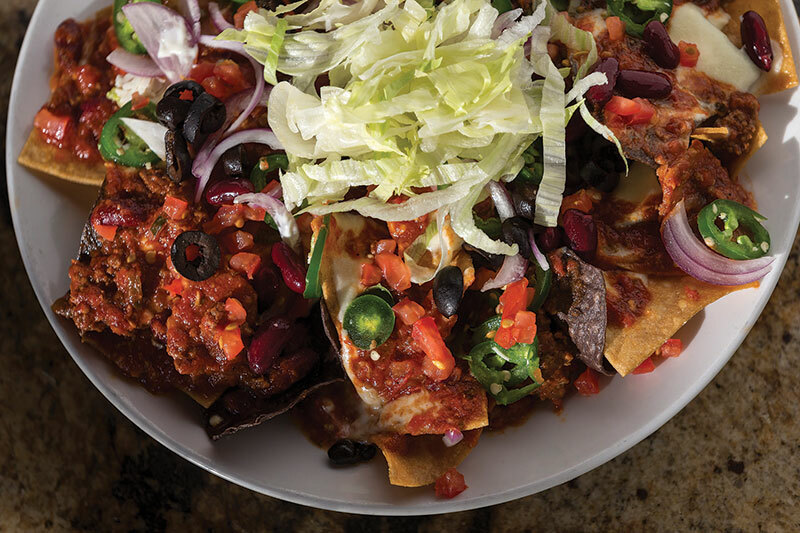 toppings to customize the Ruckus Nachos. 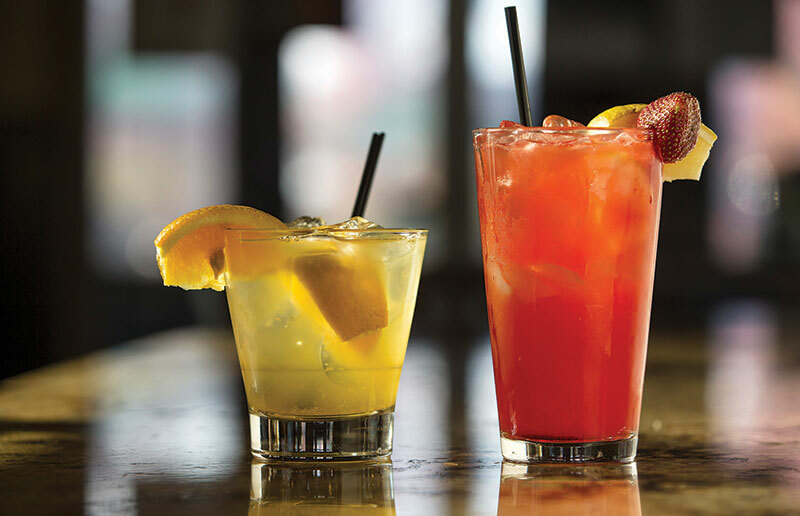 The Hendricks Holiday, left, made with house-made tonic, and Strawberry Lemonade, with berry-infused vodka. 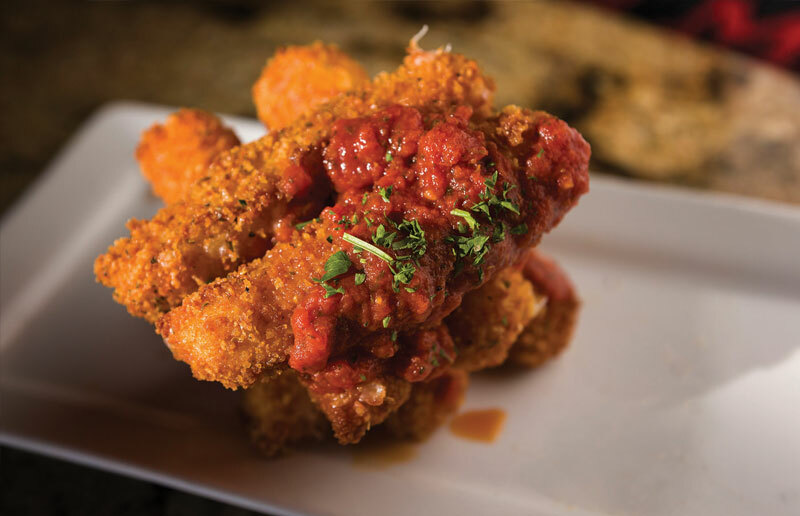 Fried mozzarella sticks are lightly breaded and served with original Ruckus marinara. Local craft beer, wine by the glass and infused vodkas — from painkillers to strawberry lemonade — cater to ever-expanding tastes. Never mind the half-price meals for kids on Mondays and Tuesdays and the spacious, climate-controlled covered patios at most locations.